One of the problems of camping enthusiasts is the quality of the food. The secret in making a good tasting food while in the camping area lies on your cooking equipment and the way you cook it. In this kind of situation, you can depend on Coleman Roadtrip LXE Grill. It is one of the propane grills that is easy to use, and it will surely help you to get the job done right. Our Coleman Roadtrip Grill review will give you reasons why it is best to choose this brand as your cooking companion during camping, barbecue parties, and other outdoor events. If you wish to go straight into the final verdict, here is a quick recap of what we think about the Coleman Roadtrip LXE. Why Should You Choose Coleman? 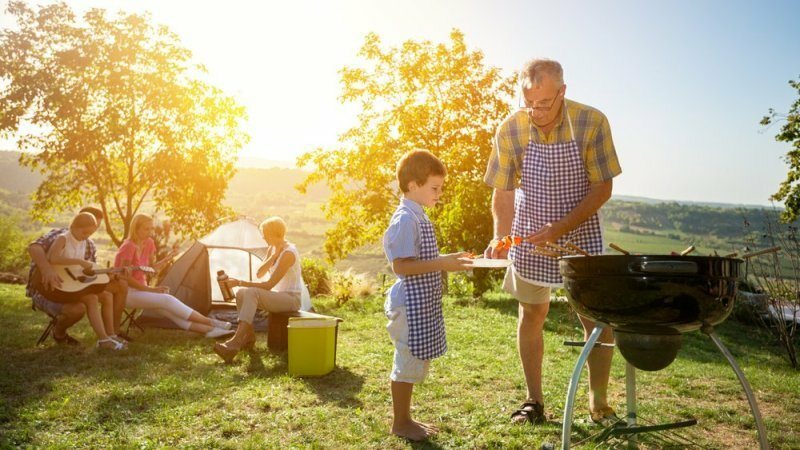 Coleman is a brand that is associated with many outdoor activities like camping, tailgating, grilling, and others. 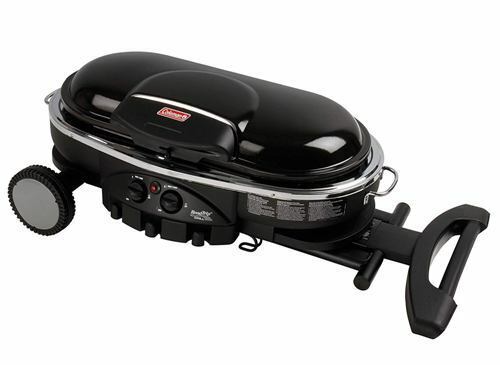 The Coleman grills are one of the most sought after grilling products in the market. They are not just small and easy to carry, but can also fit indoors. However, we do not recommend this as grilling is best done in a ventilated environment. 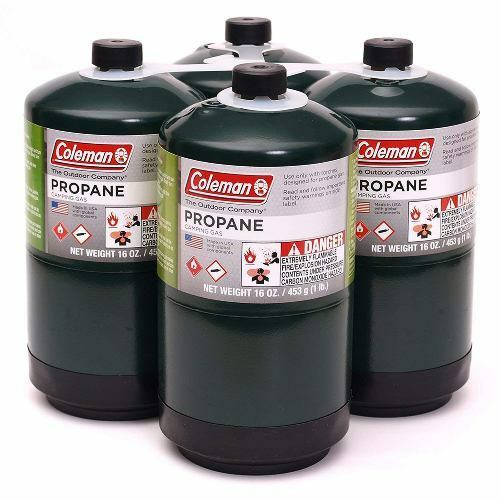 With the hundreds of brands of grills competing in the market, we feel Coleman is simply one of the best from the many choices of propane grills out there. There are benefits you can get from using a Coleman grill. One is that its intricate design makes it perfect for different types of delicate foods. Be it veggies, steak, shrimp, kebabs or burger, the grill will keep the behemoth at bay and takes extra care to make sure the food will not burn. If you are looking for an easy to transport grill, the Coleman grills is a good choice. It is collapsible and can be wheeled easily anywhere. 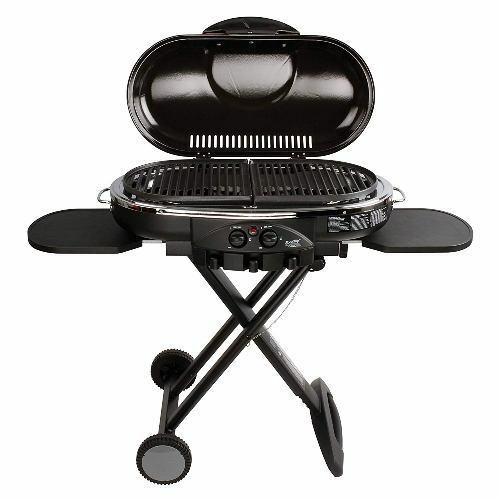 The Roadtrip Grill LXE is one of the popular products of Coleman. 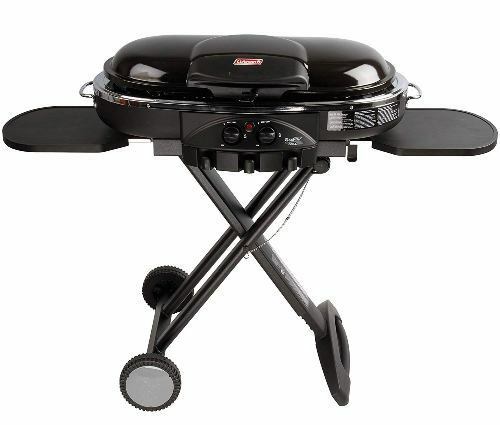 This two burner propane gas grill has exciting features that you will surely love. The first thing you will notice on Coleman Roadtrip Party Grill LXE is its two burner cooking area. Each burner has its control, which means you can cook two dishes at the same time. You can simmer the stew on the other side and cook the burgers on the opposite side. If you need to cook burgers for a bigger group, you can use both burners to finish the task efficiently. Since you can control the heat in your grill, you can cook different kinds of dishes on it. You can do the hotdog, and you can make the best-tasting nachos on it. By just following the four easy steps, it will be ready for business in no time. You can cook the meal right away and clean it afterward with soap and water. After drying it, you can fold it down to a compact unit to fit it in your RV, the back of an SUV or in the trunk of a car. This grill is portable, and you can bring it anywhere you want to. With Coleman Roadtrip Grill LXE, the steaks cook faster. With the top down, the heat reflects on the other side of the steak. The result is an evenly cooked meat that will surely taste great. You can cook a slab of ribs, and you will be glad, you have chosen the Coleman portable grill. It also means you will be cooking kabobs perfectly all the time. You can grill veggies like peppers for sandwiches, and you can add some cheese. Your sandwiches will taste heave every bite. Cooking Texas toast is easy with this grill. There are lots of great tasting food that you can cook using this versatile grill. The old traditional charcoal, newspaper, and lighter fluid to start up the grill are no longer seen. There is no ash to clean and no singed eyebrows when the charcoal flare-up in lighting. 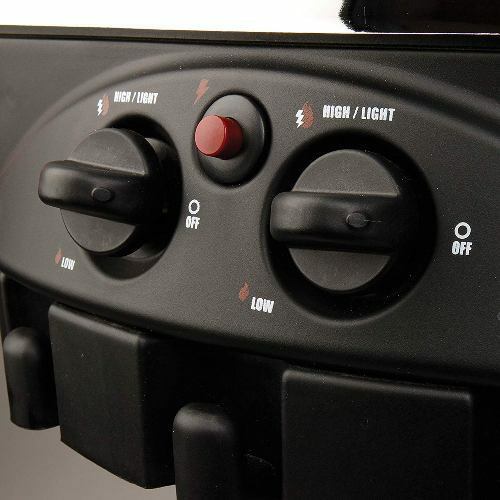 With just a push of a button, you will have the heat that you need for grilling. You can put some pam or brush the grill plate using vegetable oil, and you can start cooking the burgers in a flash. When you are done the cooking, there is no need to wait for the coals to cool down. All you need to do is to wipe the grill and fold it and wash later. The Coleman RoadTrip Grill LXE uses 16.4-oz disposable liquid propane bottles that you can buy easily in the market. It is best to buy a disposable LP bottle that lets you cook for 1.1 hours using both burners at high, or set it on its lowest setting and it will last for 4.5 hours. Since you won’t be needing to run the grill on high all the time, it may last for two to three hours. If you choose to use the 20 lbs, refillable LP tanks, you can use a Coleman high-pressure adaptor. Keep in mind, if you use the adaptor hose to connect to a tank, make sure you turn on the tank's valve slowly to prevent the regulator from closing prematurely. 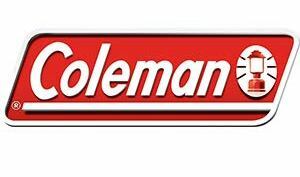 Coleman offers a 5-year warranty on the workmanship and defects of their grills. Just make sure that you keep your receipt with you and this warranty will be provided. There are lots of Coleman Roadtrip grill accessories available in the market. You can find easily griddle, stove plates and different grill on the market. The grill plates are available in different materials like aluminum and cast iron. Griddle plates can be bought in the standard half-size, or a full size to cover the surface area completely. If you are looking for a worry-free outdoor camping experience, this product is for you. This is also recommended for campers with family members who prefer food that is cooked properly. Also, if you will be preparing for a bigger group this Coleman Roadtrip LXE can get the job done fast and easy. You can cook 10 to 15 or even more burgers at one time. 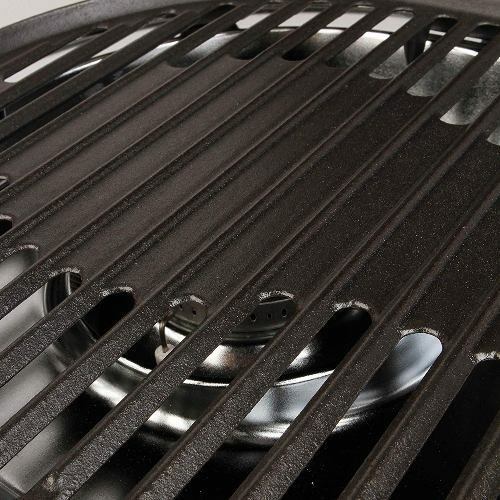 This grill is for campers, sports’ fans and also for those who love to cook on the grill. Being in the middle of the woods is not an excuse for not eating the food you want. This is what we have learned about this grill. Aside from grilling, you can cook other foods that you want on it. Because you can control the temperature easily, you don’t have to worry about food getting burn or your chicken or steak not cooked evenly. With Coleman Roadtrip LXE grill you can prepare the best steak no matter where you are. Our Coleman Roadtrip Grill review rates this product 4.3 stars out of possible 5. If you found this post helpful, you can share it with others.